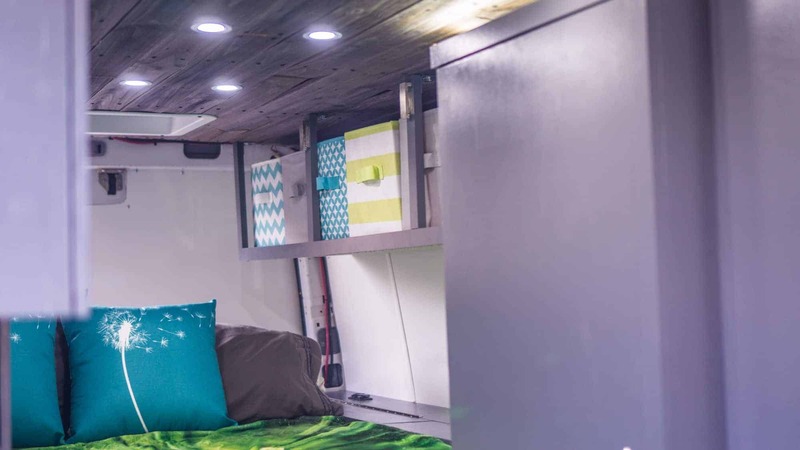 A hot question in the #vanlife world and one we get asked quite often: how do you insure a DIY campervan? 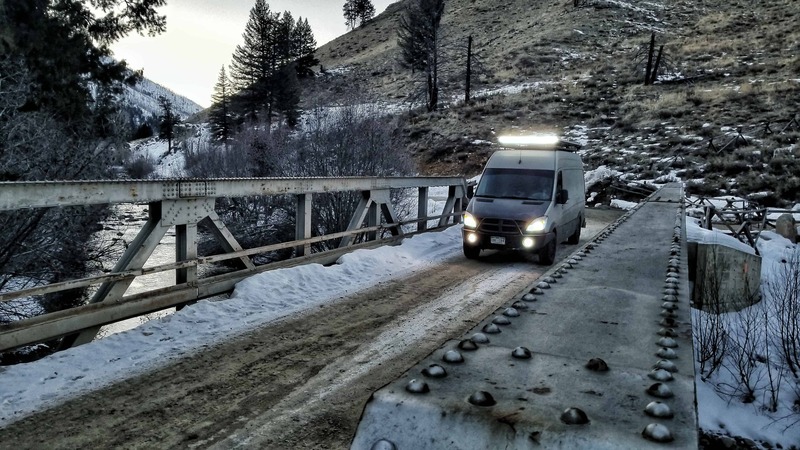 This multifaceted question requires several parts for the answer, from what to do during the build, records that your insurance company needs, registering the van as a motorhome, and insuring your contents. Disclaimer! We are not insurance professionals or experts. This is a recap of what we did, how we obtained our insurance on our Sprinter van, and what our experience has been thus far. Our insurance is currently through State Farm in Colorado, and they have been great to us during the whole process. Please make sure you do not lie to your insurance agent and be completely up front with your entire process. When you purchase the van, discuss with your insurance agent how the underwriting will happen once it is converted. For ours, this meant re-writing our policy as a motorhome. First and foremost, you will need to get insurance on the purchase of the van. This is straightforward as it is just covering the cost of the van, just like normal car insurance. This keeps you at least partially covered during the buildout. When you contact your agent for the initial insurance, it would be a good idea to go ahead discuss options for insuring it as a motorhome after the build. This way, you are not scrambling to find insurance once your build is complete and you already know what your insurance company will need. Keeping good records of your purchases is essential to obtaining proper insurance on your buildout. 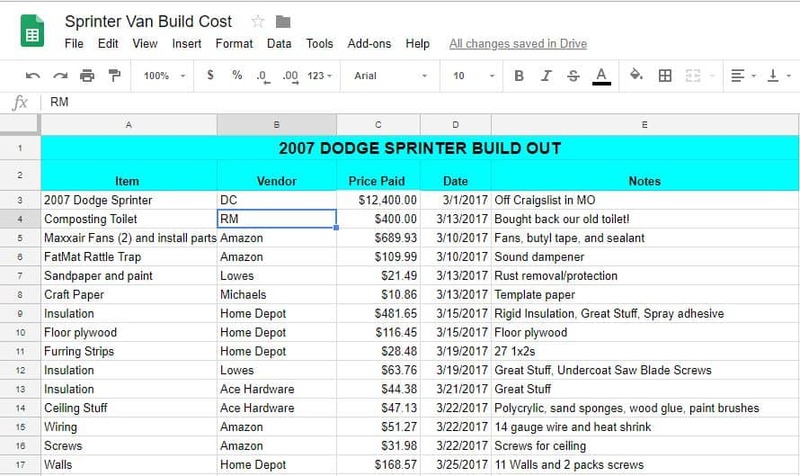 For our build, we kept a spreadsheet of every purchase we made – down to every screw, nut, and bolt. At the end of the build, categorize those purchases into sections of the build, for example: Cabinetry, Plumbing, Electrical, Flooring, Appliances, etc. Not only does this help in the end with insurance, it also helps you stay on top of your budget for the van build. One thing to note here is that during the build, the only insurance we carried on the van was the normal auto policy. Therefore, the in progress build was not covered if anything were to have happened. We did take a chance here, but we were also not driving the van during the buildout, so we were okay with it. After our buildout was complete, I sent the spreadsheet and a summary of all of our expenses for the build to our agent. Along with the cost of the buildout, we sent detailed pictures of the interior and exterior once the buildout was complete. With all of this information, the insurance company sent our policy back through underwriting to re-write the policy as a motorhome. The policy as a motorhome was able to cover our buildout. Unfortunately, they will only cover actual costs and not man-hours put into the build. 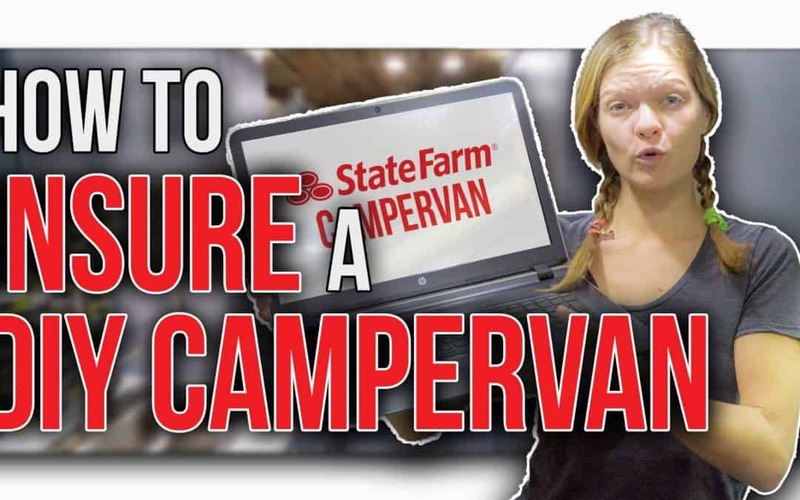 I believe this is different if you use an upfitter, but if it’s a DIY Campervan, then insuring the labor is not included. Therefore, our total insurance coverage for our DIY campervan is about $40,000. This policy costs us $59.97 per month and includes full coverage, towing, and has a deductible of $1,000. Our contents are covered separately. I’ll explain that shortly. In addition to insuring our Sprinter van as a motorhome, we also had the title re-registered as a motorhome. This helps with the underwriting for insurance to certify that it is a motorhome. I don’t believe this step is required, but you may ask your insurance agent to be sure. To get our DIY campervan registered as a motorhome in the state of Colorado, we first had to have an emissions test done (required on all vehicles over a certain age) and a VIN Verification. There are places all over the state that do these tests and certifications. In addition, we needed to have a certified weight slip, which certified the gross vehicle weight of the van with the build. Finally, we had to fill out a Statement of Assembly of Homemade Trailer. In this, we stated and certified what changes were made to the vehicle that classifies it as a motorhome rather than a van. If I remember correctly, we had to have made 4 of the 6 qualifying permanent changes to the vehicle: Fresh Water/Sink, Electrical, Sleeping area, Cooking Area (permanently fixed stove or oven), Residential Flooring, and/or Toilet. We were able to certify 5 of the 6, with only the cooking area not permanently affixed to the van. Note: this is from memory, as the information is not online, but the DMV can provide you with a list of the requirements. Each state is different as well. After just two trips to the DMV and a couple hours of our time, we had a new title registering our van as a motorhome. As I mentioned before, the insurance policy on our van does not cover all of our belongings. In a traditional model, any belongings that you carry in your car are covered under your homeowner’s or renter’s insurance. Since we live in our van full time, we have neither of those. So to be sure our personal items are covered as well, we opted for a separate Personal Articles Policy. This policy covers “luggage and personal effects” for a total of $10,000. This would cover our clothing, shoes, cookware, and other miscellaneous items in our van. You can choose the amount you would like to have covered, but we opted for just the $10,000, because our more expensive items are covered below. 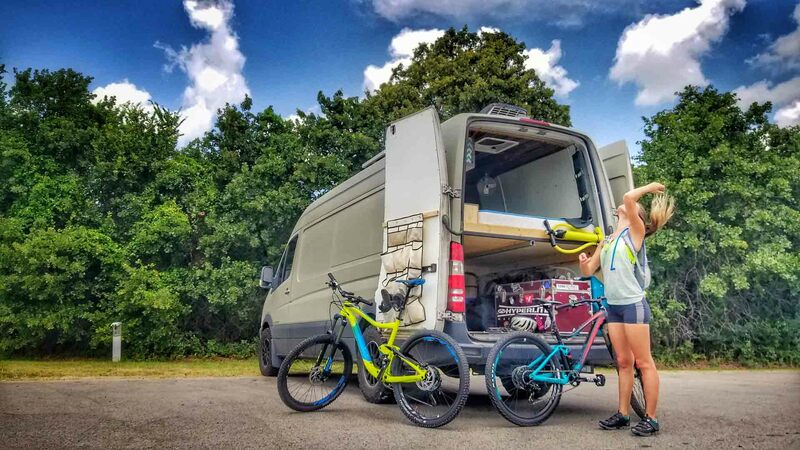 Our final insurance policy for full time van living is another Personal Articles Policy. This policy covers our specific items, each of which are high-ticket items. Our camera gear, laptops, and mountain bikes are specifically covered under this policy. To get this type of Personal Articles Insurance Policy, you will need to provide the insurance company with an item description, receipt of purchase, and serial number. The two Personal Articles Policies together cost us $50.66 per month and covers a total of about $25,000 worth of equipment and personal effects. These have no deductibles and cover our items even if we aren’t in the van (for instance, if we are out adventuring and damage or lose a camera, it’s covered). All in all, we pay $110.66 per month on our insurance policies. For the amount of coverage we have and the flexibility of the coverage, we are very happy with the cost and coverage. Ideally, the van would be covered for an “appraised value,” but currently we are not worried about going through those hoops to have an additional policy written.